Coniferous forests exist throughout the northern hemisphere of the world, though primarily in two separate regions in North America and Northern Europe. Soil types for coniferous forests vary only by the amount of moisture the soil receives. This changes the amount of nutrients present in the soil and how the environment has built itself to sustain life in the presence of ample rain or the lack of it. The Boreal Forest refers to the northern coniferous biome and is also termed the "Taiga," according to the website for the Forest Community at Virgina Tech University. The closest coniferous forest region of this type extends across Canada and into the state of Alaska but can also be found in parts of eastern Europe and Russia. The soil type for the region is characterized by thin mineral deposits and poor drainage, which is due to the region's low evaporation rate. Parts of the Taiga are also covered in dense deposits of peat and organic soils, which have a high moisture-retention rate and may remain saturated throughout the year. 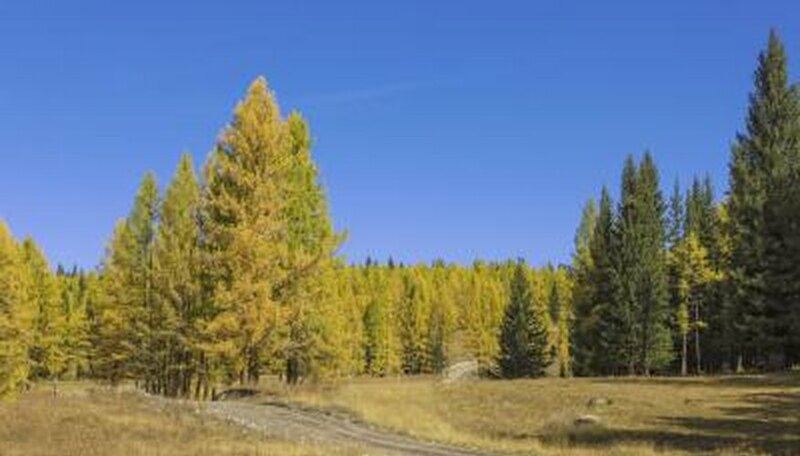 Dry coniferous forests have a soil type that is composed of a top layer of brittle leaves, cones and needles. This is an ideal feeding ground for floor-dwelling animals and fungi, which help to return nutrients to the otherwise acidic soil. Lower soil layers contain micro-organisms that continue the mineral breakdown process by providing the nutrients necessary for trees to sustain life. Due to the slow breakdown of nutrients in this soil, trees in dry coniferous forests tend to be more spaced ou,t as opposed to the dense coniferous forests found in boreal regions. 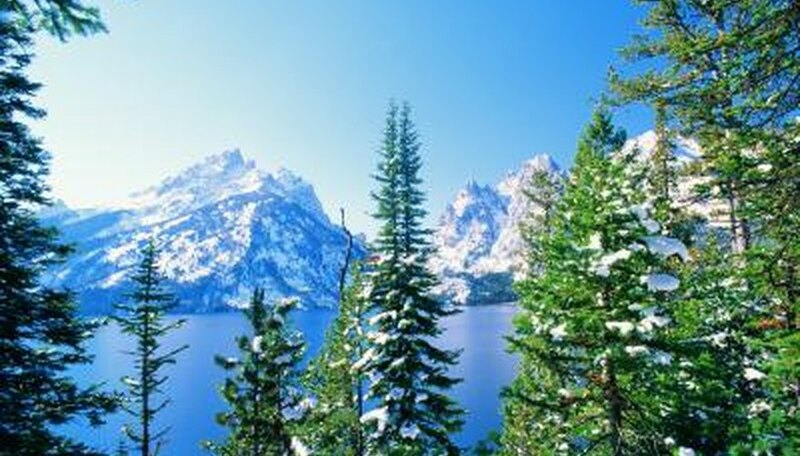 Coniferous trees found in mountainous regions like the Rockies have adapted to growing and thriving in rocky soil. 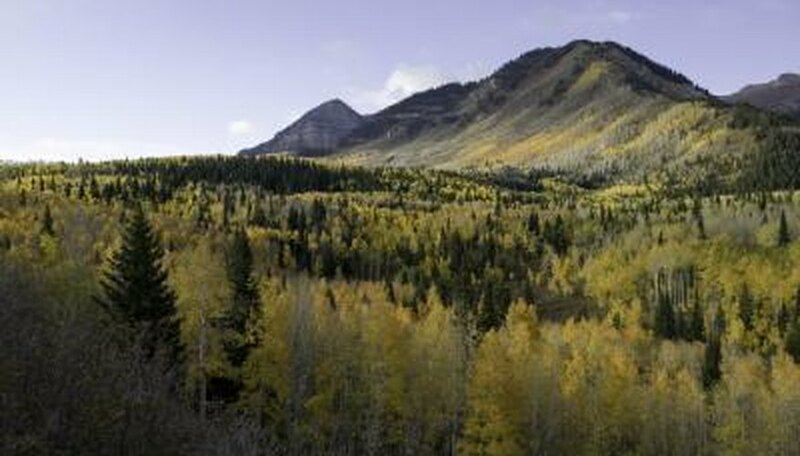 While coniferous trees growing in the mountains may be considered part of the boreal forest boime, certain differences arise. Much like the soil types of dry coniferous forests, soil found in mountainous regions of the world is low in nutrients and also is particularly hard. As a result, trees are unable to develop extended root systems.